Does long-term, chronic exposure to low doses of mercury vapor pose any risks? What might the health effects be? And, are there any subsets of our population who might have greater sensitivity to mercury? These are the questions we will answer in this continuation of our discussion on mercury amalgam fillings. Last month, we studied mercury's use throughout history, where the government and mainstream medicine stand on the issue of mercury, and how other countries handle its toxicity. Mercury, as we have already learned, is a very toxic, volatile, silver-colored element that is liquid at room temperature. It easily absorbs into the body through the respiratory system, the gastrointestinal tract, and even unbroken skin. Scrap amalgam — and all other medical waste containing mercury — is regulated as a hazardous substance. Extracted teeth with amalgam fillings must be disposed of according to regulations rather than thrown into the garbage or medical waste containers (source). According to WHO (World Health Organization), “Mercury is toxic to human health.” In 2009, a WHO consulting expert recommended phasing completely out of amalgam fillings, and educating dental professionals and the public to the dangers of mercury amalgam (source). The CDC currently recommends an exposure of no more than 50 mcg of mercury per 100 cm3 per 1 day (source). Many conventional dentists claim that mercury stops evaporating when combined with other metals in an amalgam. This isn't true. The evaporation rate is merely slowed — not halted. Methods for detecting trace amounts of mercury have been around since the late 1970s. People who sell these devices actually demonstrate their products by asking people with amalgam fillings to blow onto their devices. Mercury vapor is then measured. 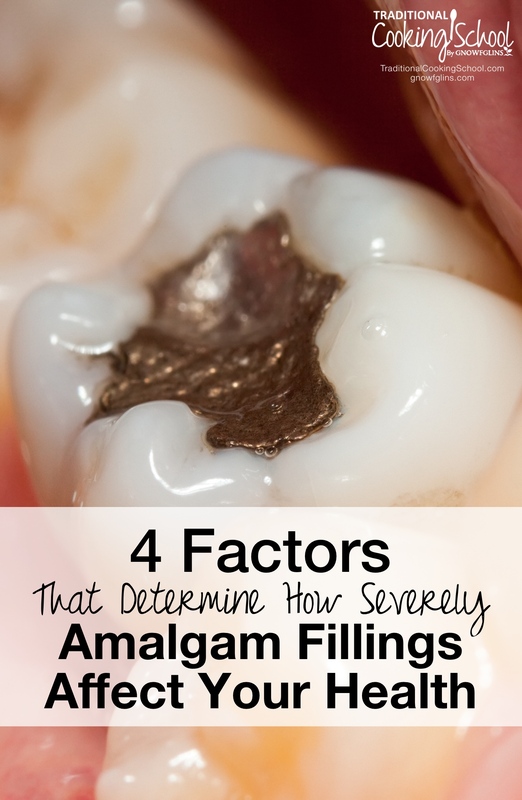 1 amalgam filling at room temperature emits up to 43.5 mcg per 1 cm2 per 1 day (source). 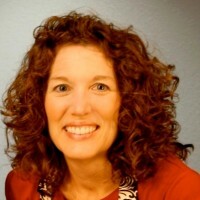 According to a study done by Dr. Klinghardt and Dr. Mercola, the average adult has 8 amalgam fillings. This results in up to 120 mcg of mercury absorbed per day. These estimates have been verified with stool sample analysis (source). The installation of amalgam fillings — including opening the amalgam capsule, packing the tooth, polishing, and disposing of the capsule — generates thousands of micrograms of mercury vapor per filling. Watch as a mercury vapor measuring device detects 6 mcg from an old extracted, amalgam-filled tooth. When the tooth is brushed with a soft toothbrush and retested, the device detects 260.7 mcg of mercury vapor — an amount that greatly exceeds all safety limits. In spite of measurable evidence to the contrary, many conventional dentists claim that there isn't a problem if the amalgam is intact and the tooth is healthy. Unfortunately, they misunderstand the issue. It isn't that mercury seeps into the body through the tooth — it's that mercury constantly off-gasses and is then inhaled. This low-level, chronic exposure is largely ignored by U.S. agencies and conventional dental associations. The amount of mercury absorbed by an individual depends on the number of amalgam fillings they have, in addition to any seafood eaten that day or any vaccines received. The ACGIH (American Conference of Governmental Industrial Hygienists) says that, after exposure to mercury vapor, “a relatively high percentage of the absorbed mercury remains in the brain” (source). According to ATSDR (Agency for Toxic Substances and Disease Registry), mercury from dental amalgam contributes up to 75% of an individual's total daily mercury exposure (source). What about corrosion of the amalgam surface? This is a secondary mercury contamination problem. Chronic mercury exposure manifests itself via the central nervous system through tremors, as well as various neuropsychiatric disturbances, kidney malfunction, fatigue, weakness, irritability, and loss of memory (source). In 2005, the German journal Gesundheitswesen published a review saying that mercury exposure from dental amalgam fillings could lead to kidney and autoimmune problems, neurobehavioral changes, and autism. With the removal of amalgams, however, these various chronic complaints permanently improved in a relevant number of patients in the trials. Think of mitochondria as a furnace or a steam engine. If wood is fed into the furnace, it burns. This creates heat that is used for work, like heating a house. Now imagine something that disrupts the controls on the furnace — fire comes out and burns up the basement. In our cells, the fire is ATP (cellular energy). Mercury causes this energy to spin out of control, creating free radicals, inflammation, and very little useful work. With mitochondrial malfunction comes chronic fatigue — a classic symptom of heavy metal toxicity. Usually, our mitochondria have special antioxidant molecules to handle a normal amount of free radicals. However, when heavy metals such as mercury, cadmium, and arsenic target our cells, they create such an overload that they can wear out all of the mitochondria in our bodies (source). Mercury also targets the thyroid. It blocks the conversion of T4 to T3, which can cause fatigue, weight gain, and slowed metabolism (source). In the brain, mercury damages the NMDA (N-methyl-D-aspartate) receptor. There are a huge number of receptors in the body, all receiving information transmitted between neurons by special chemicals called neurotransmitters. When a receptor receives information from another neuron, it is activated. Activation is either excitatory or inhibitory. After a receptor is activated and has responded in the appropriate way, it is supposed to return to neutral. This is the key — problems arise when neurons cannot calm back down OR when their neurotransmitter can't activate their receptor in the first place. How does this all relate to mercury? The NMDA receptor is activated by the excitatory neurotransmitter glutamate, which is very important for memory and learning ability of the brain. Another receptor — the GABA (gamma-Aminobutyric acid) receptor — is activated by the inhibitory neurotransmitter GABA. This neurotransmitter helps to control fear and anxiety. Normal healthy brains have a balance of GABA and activating glutamate. With mercury toxicity, the GABA is suppressed and the glutamate hyper-expressed. Mercury can bioaccumulate in toxic amounts. It is released in significant amounts by amalgam fillings. It is distributed in tissue throughout the body once absorbed. Mercury in amalgam fillings crosses into breast milk and the placenta, causing significant pre- and post-partum exposure. It can cause adverse physiological changes on many systems in the body. According to WHO, it is clear that mercury poses particular threats to children in utero (source). The FDA cites this study when they make safety claims for amalgams. Many scientists, however, have discovered flaws in its research during the 10 years since it was published. Dr. Boyd Haley, Ph.D. (biochemistry) states that autistic children are just 1 subset of the population who don't effectively excrete mercury. Yet there are others — anyone else who is genetically susceptible to mercury is also at risk, even before birth, to mercury exposure from amalgam fillings. Dr. Haley has testified to his findings before numerous government agencies. Read his full rebuttal here. Dr. Chris Shade, another expert who holds several chemistry degrees (including a Ph.D. specializing in mercury) and patents for mercury testing and other technology, also finds fault with the study. He agrees with Dr. Haley — the FDA's favorite study glosses over the children with genetic subtypes that make them more susceptible to mercury toxicity. These children were exposed to mercury levels that correspond to those from amalgam fillings, just like everyone else in the study. Unlike everyone else, however, these susceptible children showed profound neurological deficits and developmental delays of 2 to 3 years behind their age groups. Around 10% of the children in the study were affected. This study began nearly 20 years ago, with conclusions made over 10 years ago. Our understanding of epigenetics, nutrigenomics, and how our genes affect our susceptibility has expanded astronomically. Thankfully, companies now offer lab tests to find out if you are in the more-susceptible category. When cells have plenty of glutathione, they can detoxify heavy metals more efficiently. Due to some genetic factor, some people have low levels of these glutathione enzymes processes. Other people may have low levels because of an epigenetic, or lifestyle, characteristic. Yet others may be low due to an immune sensitivity — similar to an allergy. Any of these factors create situations within the body which make detoxification of mercury difficult and increase an individual's sensitivity to even small levels of mercury. This brings us to the fourth and final point. Some people are simply allergic to mercury. According to WebMD, approximately 1% of the population is allergic to their amalgam fillings (source). Others gain an allergic-like immune response to mercury over time. Dr. Mark Hyman says symptoms of mercury toxicity can mimic other problems, including neurological issues, headaches, depression, kidney toxicity, colitis and even dermatitis (source). Mercury can make other chronic diseases worse by interfering with the body's detoxification pathways. Dr. Hyman says that detoxing from mercury may cause other ailments to clear up as well (source). However, before you embark on any self-guided detoxification plan, please understand that mercury detoxification is complicated and possibly dangerous if done incorrectly. Undertake heavy metal detoxification only with the strict supervision of an experienced healthcare practitioner. Remember, if you'd like to catch up with our discussion, you can read my first post: The Historical Uses Of Mercury & Its Use In Dentistry Today. In my next post, we'll talk about how to find a practitioner who is familiar with mercury and steps you can take to protect yourself from mercury toxicity. So is removal by someone who knows how to properly do this the treatment protocol for amagam fillings? This is a personal decision. It depends on how severely you feel your health has been compromised and how strong of a reaction you personally have towards the mercury load in your mouth. Talking with a trusted healthcare practitioner, having labs done to measure your own mercury levels, doing a guided detox, talking to a Biological dentist about your concerns – these are things to consider before removing the amalgams.